I do believe its time for a birthday bash! Spanish Peaks Fest Celebrates 10th Year! 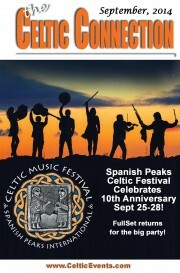 As those of you who are long time participants of the Spanish Peaks Celtic Festival already know, this festival had its birth after first existing for five years in little, out-of-the-way Gardner as a casual summer afternoon ceilidh. The ceilidhs happened when our harpist daughter Heather and our Scottish musician friends would come across to visit Jack and me and lend a hand in building our house – the one Jack designed. At that time we were living in a small wooden shack Jack had built in advance of our coming – one side for his tools and the other side for our bed, a little wood stove, two chairs and a small desk all of which we shared with our four cats who traveled with us from Scotland. In fact we were still living in that shed when we started the festival in 2005. Through four summers of ceilidhs, local musicians, and others too, were starting to show a real interest in Scottish and Irish music as more and more locals and their friends and relatives just happened to turn up at the sound of the ceilidh music. So with local encouragement, in 2005, literally on a hope and a pray and nary two pennies to rub together, beloved Scottish singers Margaret Bennett, Alison Bell, Ed Miller and Patsy Seddon, also a harper; Scottish/Irish harper/whistle player, Billy Jackson; renowned Paraguayan harpist, Alfredo Ortiz, and jazz harpist Park Stickney – all highly sought after performers – agreed to fly to Colorado to help start a festival. And, they came at their own expense and with no fee! Something I will never forget. Note all the harp players; no surprise that Jack is a harp maker. That first festival was fabulous, a fun and spontaneous two-day affair. It was not very well organized; in fact often chaotic – but everyone, and that included the participants and local citizens, pitched in to iron out the rough edges and in the end it was deemed a grand success. We were even able to pay our generous artists a modest fee. I might add, to their surprise and ours! It was during the planning of our third festival that Pat McCullough took us under his talented and knowledgeable wings. He approved of our European style of festival where artists and participants and even local audience members mingled together sharing music, songs and stories and dancing up a storm, and where teaching, learning and entertainment went hand in hand always reinforcing each other. Pat’s vision took the festival an important step forward. He encouraged us to think of the festival as a “Retreat Gathering” where Celtic musicians, singers and general music lovers could gather for four days and just live and breathe an all encompassing Gaelic atmosphere – in the theatres, in home spun classrooms, community centers, libraries, galleries, church halls, pubs and wine bar, camp grounds, delis and bistros, patios and park. In other words aim to create an Irish Willie Clancy Week right here in Huerfano County. Now that really is shooting high! Where I knew the Scottish music scene in a personal way and could bring such talent to the table, Pat was equally at home with Irish musicians, and indeed he had an even wider net of artists at his disposal. So we formed a working team and it is thanks to Pat that we have been able to perform such great talents as Liz Carol, Martin Hayes and Dennis Cahill, Robbie O’Connell, and John Doyle, just to name a few. And it was Pat who has encouraged us to bring in great young up and coming talent like FullSet, and like Sean McComiskey, and the delightful MacDonald sisters, Cassie and Maggie. Today we still operate on a hope and a prayer and we still have our chaotic times when things don’t always go as they should, and, we still have a great festival every year! So here we are in 2014 and we pinch ourselves to think the festival has reached its 10th anniversary. A truly special birthday year. In truth, we actually started our birthday celebrations in a most spectacular way. On Sunday, August 10th, Carlos Nunez, perhaps the world’s greatest and most versatile piper, and three of his band members, Pancho Àlvarez, Xùrxo Nuñez, and Stepanie Cadman, gave a spectacular concert for us at our favorite venue – the dance hall and tavern at Up Top Ghost Town on Old La Veta Pass. Pancho produced such impossibly beautiful, soulful sounds from his guitar; Xùrxo created unbelievable rhythms with just two sticks and a stool; and finally, the beautiful and amazing fiddle player and dancer Stephanie Cadman, who left us breathless, her strings and feet dancing in accord. The room was packed. Carlos overwhelmed us with his brilliant musicianship and equally that of his band members. They had the audience dancing in the aisles, and Carlos with them, and everyone was laughing, crying, shouting, not wanting to stop, not letting him stop. I’m sure the tavern ghosts were dancing too. It was an experience none of us who were there will ever forget. On the band’s part, they were charmed by Up Top and delighted to have a two-night stay in a ‘ghost town’, their first such experience, before going on to their next gig. Carlos told Deb and her sister Sam who turned their wee cottage over to them, that they loved Up Top and want to come back to record there because they found the sound so pure. All I can say is I hope indeed they will come back as part of one of our festivals so those of you who couldn’t make their concert will get a chance to meet these wonderful warm hearted, hot blooded and totally exciting musicians and hear them perform and actually play music with them. In the meantime we have this year’s festival coming up in just a few weeks, and you are all coming, aren’t you? To help us celebrate our birthday, of course. Returning are old favorites from our first year – Margaret Bennett, Ed Miller, and Alison Bell. Along with them are our regulars also from very early on – Arlene Patterson and John Crumlin. And among our more recent specials we have invited FullSet back because so many of you have asked for their return and they are so much fun to have at a party. Also returning we have Sean McComiskey, Adam Agee, Jon Sousa and Mairtin de Cogain with his true tales of ‘almost disbelief’! New on hand is the outstanding fiddler Jessie Burns who retired from performing solo with the super band Gaelic Storm when she was pregnant with her little daughter, and with Jessie comes her talented husband Eric Thorin whose stand-up bass has graced many a well known band. Lastly, replacing Jerry O’Sullivan, who sadly had to cancel his return to the festival, we have a new young and very talented Border piper Jerry sent us in his place, Will Woodson. year. Jack who is a young 77 and 1/2, can only shake his head and tell me, “I never thought I’d see the day when I was married to an 80 year auld wifey!” What can I say? Poor wee manny. Anyway it’s a good time for this auld wifey to step down from running the festival and pass on the torch to another. Those of you who love the festival and want to see it continue, grow and strengthen will welcome the new leader, whoever that turns out to be. I hope you will be ready to volunteer your support. All of us who work for the festival are volunteers; none of us can do it alone. Thank you for all your help, advice and encouragement throughout the past 10 years, and may I wish you a great 2014 Festival Retreat. On September 27, a new spectacular show featuring hundreds of local, national, and international performers, will be produced and held at the Broadmoor World Arena in Colorado Springs. The show will draw thousands of spectators along with military, civilian, and first responder performers to the city. A “Tattoo” in this case has little to do with body art. A Military Tattoo is a patriotic, entertaining, and inspiring show that is based on a centuries old military tradition. The term comes from the Dutch phrase “Doe Den Tap Toe” and literally translates to “Shut off the Taps”. It was used as a signal by a military commander that it was the end of the night. Today Tattoos have grown to be large spectacles that are only held in a few communities across the globe. 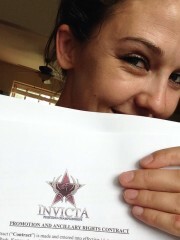 Chloë Agnew will join hundreds of other performers in the 2014 Colorado International Tattoo . The Irish singer gained fame for her integral part as the youngest and one of the original members of the internationally acclaimed music group ‘Celtic Woman’ since she was just 14. Celtic Steps World Champion Irish Dancers, and more yet to be announced. More information is available online at www.HeroShow.org. Tickets are on sale now at all TicketsWest outlets. Groups of 10 or more, save more. Call the local box office at (719) 520-SHOW. And Highland Dance and Pipe Band Competitions, Irish Dance, Scottish Heavy Athletics, Country Dance, clogging, clan tents, genealogy, food, merchandise, Kirkin’ O’ the Tartan, Falcons & Raptors, Highland Cows, Clydesdales, Border Collies Herding Sheep. 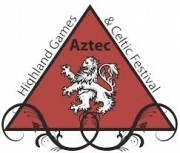 Aztec Highland Games & Celtic Festival, October 4 & 5, at Riverside Park in Aztec New Mexico. Includes the 1st Annual Four Corners Highland Games Regional Championship; Celtic music including the Wicked Tinkers; Scottish Dance Exhibitions, Bagpipe Band Exhibitions, children’s activities, Clan Tents, food and merchandise vendors, and local beer and wine. Celebrate the culture of the Scottish Highlands with an American Southwest twist! For only the second time in its 19 year history, the Renaissance Scots, the historical re-enactors that portray a Scottish clan in the days before the Battle of Culloden (April 16, 1746) has been invited to participate in the Living History area of the Longs Peak Scottish-Irish Highland Festival in Estes Park, September 4-7. This year has been dedicated to the memory of Curtis Judd, the first Executive Director of the clan (The Ren Scots are a Section 501(c)(3) private non-profit educational corporation with a full board of directors) who passed away from gastric cancer in November 2013. Curtis and his wife Katte were the first of several couples who met through their shared love of history as Ren Scots members. Curtis and Katte observed the traditional handfasting for a year and a day before they were married in a ceremony replete with kilts and swords. Katte and their three children continue to be active members of the clan. Next year will be the Ren Scots 20th anniversary and it would be a fun time to be part of that celebration. For more information see them at the festival in Estes Park or at the Celtic Harvest Festival in Edgewater, visit their website at www.renscots.org or email info@renscots.org. The Indulgers open the month at the Wine Experience Café in Aurora on the 6th at 8:30 PM, follow that with gigs at the Exchange Tavern in Westminster on the 13th at 8 PM and at Conor O’Neill’s in Boulder on the 19th at 10 PM and end their month at the Celtic Harvest Festival Edgewater at 7 PM on the 20th. Brian Clancy does his usual gig at Jack Quinn Irish Alehouse and Pub, Downtown Colorado Springs, Thursdays at 7:30 PM – the 4th, 11th and 25th. Brian and Henry the Fiddler do a special show at Jack Quinn for the Firefighters’ Memorial, on the 18th at 7:30 PM. Brian also occupies his normal place at the Irish Snug, Capitol Hill in Denver on Saturdays at 8:30 PM – the 13th, 20th and 27th. The Celtic Friends kicks off the music for the Celtic Harvest Festival Edgewater on the 20th at 10 AM. Speaking of usual gigs, Angus Mohr plays their Lonigan’s shows on the 5th and 6th in Estes Park during the Longs Peak Friday and Saturday nights during Longs Peak Scottish-Irish Highland Festival at 9 PM. Avourneen has become a regular at Katie Mullen’s in downtown Denver on Friday nights at 9 PM and are also on stage at Mu Brew, 9735 E. Colfax Ave. in Aurora, from 7 to 9 PM on the 20th. Adam and Chelsea are working on a CD that they hope to release in October. Chancers Hooley rocks out the Scruffy Murphy’s stage at 9 PM on the 5th and Mulligan’s Pub in Ft. Collins at 7 PM on the 13th as part of the halfway to St. Patrick’s Day celebration. Rare Ould Times opens the Sunday morning festivities of the Celtic Harvest Festival Edgewater at 10 AM on the 21st. Star Edwards plays her harp in the lobby of the Brown Palace Hotel, downtown Denver each Wednesday from 1:45 to 3:45 PM. Big Paddy is at the Exchange Tavern in Westminster on the 5th at 8:30 PM, Mulligan’s in Ft. Collins on the 6th at 9 PM, the Celtic Harvest Festival Edgewater on the 20th at 1:30 PM then closes out the month at Jack Quinn in Colorado Springs at 9 PM on the 27th. Colcannon (the only band to appear for all five years in its history) closes out the entertainment for the Celtic Harvest Festival Edgewater at 3:30 PM on the 21st. Beth Gadbaw and Margot Krimmel open the 5th Annual High Peaks Music Festival at the Feed Store Park and Amphitheatre in Westcliffe on the 13th. On the 14th, they join with the other members of the Granias at 3 PM in Sandstone Park in Lyons for a commemoration of the Great Flood. Then on the 18th, Beth joins the members of the new group Take Down the Door (Jesse Burns, Eric Thorin, Adam Agee and Jon Sousa at 7:30 PM for a house concert at Lyons Valley Village. On the 21st, Beth and Margot join The Granias for a Celtic Service of worship and Holy Communion at 6 PM in St. John’s Episcopal Church in Boulder. The Stubby Shillelaghs trek down from Greeley to play at the Celtic Harvest Festival Edgewater on the 21st at 1 PM. Skean Dubh opens the month at the 40th Annual Commonwheel Arts Festival at Fields Park in Manitou Springs at 12:30 PM on the 1st, continues with a concert on the 13th at 7 PM in the Anam Cara Living Arts Studio and Gallery, 445 S. Saulsbury St. in Lakewood and then as the Anam Chara Band plays for the Wisdom Keepers lunchtime concert on the 18th at noon. Delilah’s Revenge plays at the Sept 13, 8:30- Celtic House Pub in Parker on the 13th at 8:30 PM, celebrates halfway to St. Patrick’s Day on the 17th at the Pikes Peak Brewing Company in Monument at 6 PM, is at the Exchange Tavern in Westminster at 8:30 PM on the 19th and closes out the month at Jack Quinn on the 20th playing at a fund raiser for the International Association of Fire Fighters Fallen Fire Fighter Memorial. Adam Agee and Jon Sousa are getting close to releasing their new cd and planning a few big cd release shows. You can catch them at the Spanish Peaks International Celtic Music Festival the 26th, 27th and 28th and at a House Concert at Lyons Valley Village in Lyons on the 18th when they play with Take Down the Door. September 20 Leadville’s St. Patrick’s Day in September celebrates the fall foliage and Irish heritage in Leadville. The Queen City Pipe Band will lead the parade at noon on historic Harrison Avenue in downtown Leadville. Combined Family Picnic will take place at Elena Gallegos Picnic Area Kiwanis Reservation Area in Albuquerque, Sunday, September 14th, 2012 12:00 noon to 4 PM With Malarky and Musicians! RSVP by September 10 to paul McDonough: penthormul@aol.com; 505-294-8205. Early October: Aztec Highland Games & Celtic Festival, October 4 & 5, at Riverside Park in Aztec New Mexico. Includes the 1st Annual Four Corners Highland Games Regional Championship; Celtic music including the Wicked Tinkers; Scottish Dance Exhibitions, Bagpipe Band Exhibitions, children’s activities, Clan Tents, food and merchandise vendors, and local beer and wine. Celebrate the culture of the Scottish Highlands with an American Southwest twist! An Ghaeilge – The Irish Language. If you’re would like take a Beginner’s online interactive course in the Irish language, please contact Traolach at toriordain@hotmail.com. The course will be delivered using software that enables you to take the course in real time. A supplementary audio/visual package reviewing all the material covered in the course will be posted so you can review each week’s class at your desk. The course is 12 weeks long and costs $150 for non-members and $120 for members of the Friends of Irish Studies. Are you interested in learning the play the tin whistle? Do you have children interested in playing this instrument? If so, then contact Clair Leonard at leonardsmt@msn.com. Clair has just returned from Ireland where she and her family attend the Tubbercurry music workshops for a week. 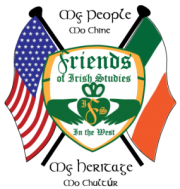 The course is 10 weeks long and is sponsored by the Friends of Irish Studies. It costs $150 and $125 for members of the Friends. The cost covers an instructional packet that includes whistle, DVD and book. Eilis Keegan will join faculty at UM this fall as a Fulbright Irish language teacher. Along with her fine linguistic skills, Eilis is also a champion Irish fiddler who is interested in teaching and playing with musicians from the western fiddle tradition. If you are interested in doing a class with Eilis, please contact Traolach at toriordain@hotmail.com. We would like to put together a small class that will meet once a week. The time, location, duration of the course and all other details will be made available once we have an idea of the numbers interested. The Friends are planning their annual tour to Ireland at the moment. We have received numerous requests to visit different places, so we have decided to ask all those who are interested to send us a list of the top five places they would like to visit. The tour will be built around the most popular choice. Our president, John Monahan, has made increasing the membership the primary objective of his tenure. The members are the flesh and blood, the soul of our organization. From the membership comes that creative energy that has made the Friends such an dynamic organization. One can easily deduce from that statement that the greater the membership, the more creative, more innovative and more successful the Friends become in the pursuit of its objectives. So important is the membership that we have reduced the cost to $20 for an individual; $40 for a family; and $5 for a student. We invite you not only to join, but to invite family, friends or anybody who has an interest in Irish culture to become a member. Believe you me, you will not be disappointed. All new members will receive a specially designed pin with the Friends logo, an informational tri-fold, and a bumper sticker. If you are interested, please go to our website where you can sign up online. For those of you who prefer a more traditional route, you can email your membership application and check to: P.O. Box 4693, Missoula, MT. 59806. The Gathering: Collected Oral Histories of the Irish in Montana is the only Irish Government sponsored oral history project in the entire United States. The location of the project in this state as opposed to any other is a testament to the prominent place Montana holds in the Irish mind. It was and remains one of the most Irish states in the Union and is home to the largest Irish Studies programs west of the Mississippi. Montana is certainly special, not simply because of its natural beauty, but also because it is home to remarkable community of people. It is the people who live who have made possible the creation of the Irish Studies program and made feasible the Gathering oral history project. Your story of love for your heritage is what the Gathering seeks to record. You can do this in a number of ways: you can pen your own account; or you can arrange to be interviewed. If you are interested in participating, please the Director of the Gathering, Bob O’Boyle, at bob@mtirishgathering.org. Also, there is a writing project entitled “The Importance of Being Irish” that would welcome any contribution you may have about your Irish heritage, history or experience. This is a very important way of collecting people’s thoughts on their identity. You’ll find more information on the project at www.mtirishgathering.org. Please check out the site, share it with your friends, and put your thoughts on paper. The raffle is back. I know many of you have been waiting with bated breath for this announcement, so it gives me great pleasure to inform you that tickets are now on sale. The prizes are 1) A trip for two to Ireland, 10-day car rental, and $1,000 spending money; 2) $1500 gas voucher; 3) $500 Visa gift card. All the proceeds of the raffle go to supporting the Irish Studies program and to promoting Irish culture in Montana. Tell all your family, friends, in-laws and outlaws about these great prizes and spread the joy. Also, we need people to help sell tickets. If you feel comfortable selling tickets to family and friends, please contact Traolach at toriordain@hotmail.com. A chance to win a trip to Ireland is a great gift and a great way of showing your appreciation to the people in your life for all they do. 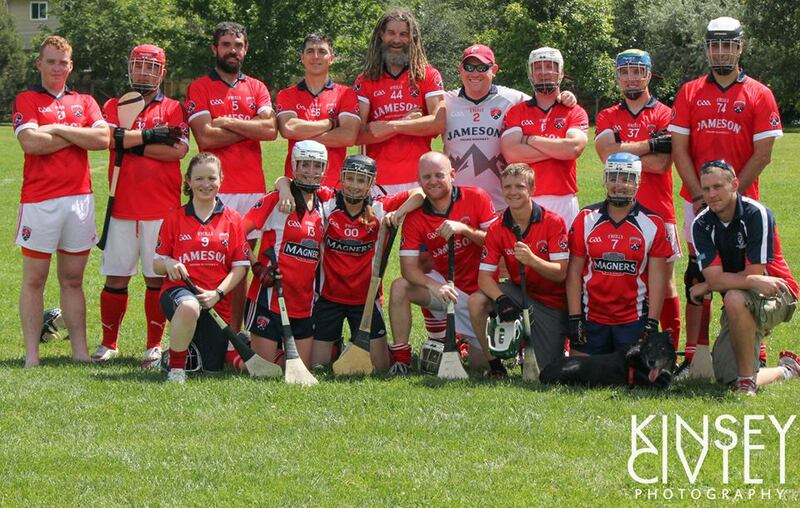 September is one of the busiest months of the year for the Denver Gaels, thanks in large part to a large number of club-wide events we’ve got going on. 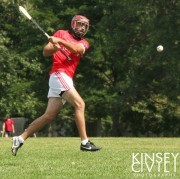 First and foremost, we’re thrilled to announce that we’ll be sending 70 players to this year’s North American County Board finals in Boston, where they’ll compete for titles in three sports across four divisions: men’s gaelic football, camogie, and men’s junior B premier and junior c hurling. But while that may be the end of our competitive hurling (and wind sprints) for the year, that doesn’t mean it’s all we have going on this month. We’ll be watching the All Ireland Hurling Finals on Sunday, September 7, at 8 a.m. at Fado’s Irish Pub, in downtown Denver. It costs $10 to get in and enjoy the craic and competition as Tipperary take on Kilkenny. We’ll also be hosting an All-Ireland watch party for the Gaelic football finals, although the details there are still being finalized. Check the club’s website or Facebook page for more info. After the hurling is done, join us for our first raffle drawing at 1 p.m. at the Fainting Goat Pub. We’ll be announcing the winners of our trip to Ireland, so don’t be late! Finally, be sure to keep an eye out for details on our fall hurling schedule, as we’ll be having some matches to keep the rust from building up too much. It’s a great chance to come see or try the fastest sport on grass, and will be a fantastic time. With a busy calendar in September, the Gaels are hoping to keep our most successful year ever going in impressive fashion. On August 27 Colorado’s Maureen “Baby Face” Riordon announced on her blog that on August 19, 2014 she signed a multi-fight contract with the world’s leading promotion in women’s MMA, Invicta Fighting Championships. Log onto Maureen’s blog, Facebook, or website and learn more about this positive role model, spunky fighter, and mother of 4 kidos!